The transition to second level school is a time of extensive changes, educationally, emotionally and physically. The child with Dyspraxia/DCD may still be showing immature responses to peers and they will be under greater pressure now to “be cool” and to respond in a mature way. They may feel that their teachers and parents don’t understand them and have failed them. Their frustration and low self-esteem may now be displayed as disruptive behaviour both at home and school. The child with Developmental Co-ordination Disorder (DCD) difficulties will continue to have problems far beyond the three to four weeks that it will take for typical children to settle in and grasp a basic knowledge of their surroundings and what is required of them. 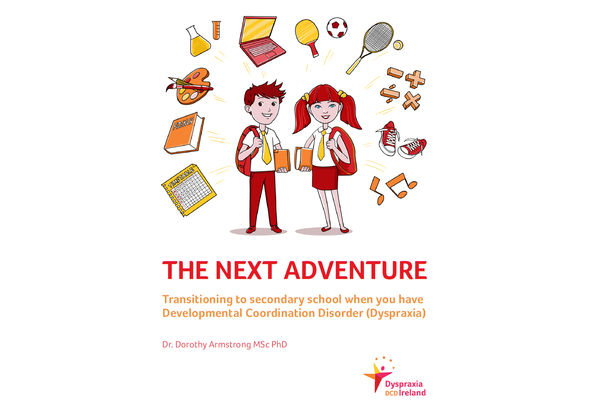 The child with Dyspraxia/DCD will remain disorientated, confused and very fearful over a much longer period of time. They will continue to get lost, forget homework, teachers names, class locations and where they are supposed to be and when, probably for months to come.